Townships in northern Shan State, including Muse, Hsenwi and Namkham, have said that they will not hold Shan New Year celebrations next week due to security concerns. 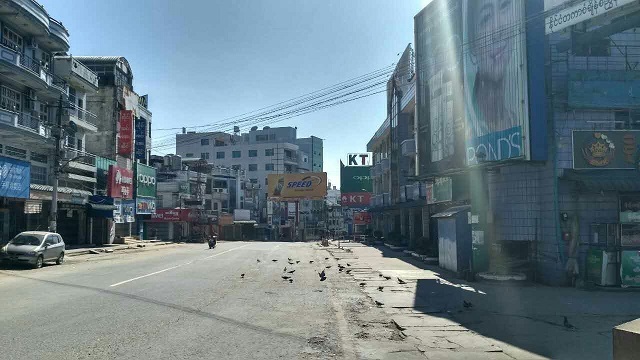 Sai Myat Aung, the general secretary of the Shan Literature and Culture Association in Muse, said that due to intensified fighting between Burmese armed forces and ethnic armed groups in the area, they have decided to cancel all festivities. Muse Township traditionally hosts one of the grandest Shan New Year’s celebrations with stage performances featuring music and dance. This year, Shan New Year falls on November 30. He said that, last year, two residents were arrested by an ethnic armed group during Shan New Year but no one took responsibility for the incident. Clashes broke out on November 20 between the Burmese army and an ethnic alliance – the Arakan Army (AA), Kachin Independence Army (KIA), Myanmar National Democratic Alliance Army (MNDAA), and Ta’ang National Liberation Army (TNLA) – an armed coalition that has named itself the “Northern Alliance”. Since then, thousands of people from Muse Township have fled their homes, with more than 3,000 seeking refuge across the border in China. On November 22, Shan Herald reported that following rumors that renewed fighting would erupt, many business owners closed their shops and joined the exodus, leaving the town of Muse – one of Burma’s major border trading points – eerily quiet. Fighting continues. Clashes have broken out not only in Muse but also in other areas, including Namkham and Kutkai townships. The attacks are generally targeted at police stations and Burmese army outposts. According to Burma’s State Counselor’s Office, at least 10 civilians are among the dead, with more than 30 injured.